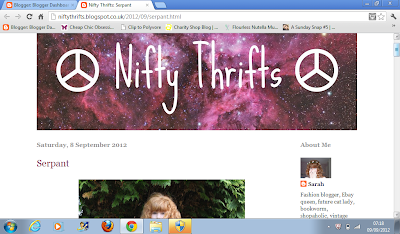 My second guest post comes from Second Hand Rose. A little bit of a different post today - very interesting! 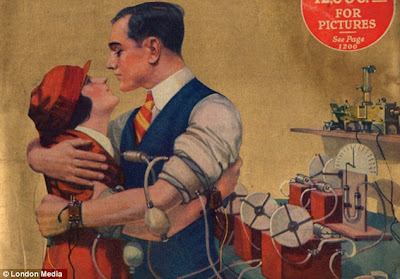 Finding Mr Right 1920's style: Be prepared to get your Bunsen Burner out. 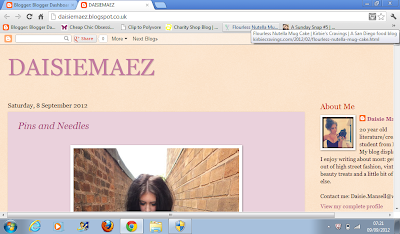 First let me start with a huge thank you to the lovely Katie for letting me do a guest post on her blog. Katie, I will happily give you a big squeeze and a triple pack of Maryland Cookies! I blog over at Second Hand Rose which I would love for you all to check out, even if it is just to look at funny pictures of my cat. I am a lover of everything vintage, from clothes to music and how people used to live. I love learning about those old times when your Grandma was doing her hair in rags and boogying to the wireless, what people did before curlers and TVs, I do not know. People's day to day life in different eras really fascinates me, especially the tips people used to be given on subjects such as dating,there was no Cosmopolitan in those days. 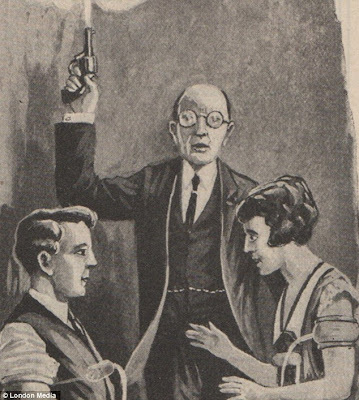 Recently an article from a 1924 edition of Science and Invention magazine has been discovered. The article gives some bizarre methods on how to test a couple's compatibility, so if you are wondering whether you've found Mr Darcy or not, then you may want to try out these techniques. 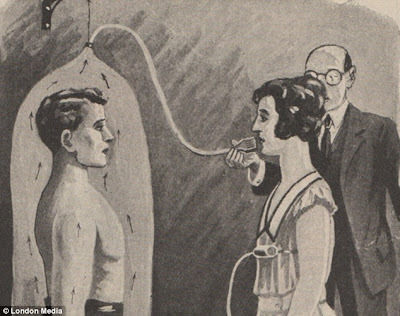 These so called 'basic' tests consist of four unusual experiments, including the body odour test, the nervous disorder tst, the sympathy test and the physcial attraction test. Now beat that Match.com. In the body odour test one person should place themselves in a large capsule with a hose attached and then their partner takes a big sniff of the smell. If it is not found 'too objectionable' then the match is 'safe'. This sounds as bad as smelling you man's feet. Warning: This test may make you rush to Boots to buy them some deodorant. Thank god for 3 for 2 offers. The aim of the nervous disorder test is to find out whether at least one half of the couple can be calm under pressure. The test imagines a man shooting a gun into the air with the reactions from you and your partner recorded. If both of you pee your pants and run screaming to the biscuit tin, then apparently you shouldn't get married. The sympathy test is done to find out whether a husband or wife is sympathetic to their partner when they are in pain. One of you must watch your partner go through something mildly traumatic, such as giving blood. In my opinion finding the ASOS dress your desperately wanted out of stock, or your man watching England lose to the football is equally traumatic. Whoever is watching the test has their heart rate and breathing measured. If the rates increase then they are thought to be a 'sufficiently sympathetic partner'. What this test does not take into account is 'sympathy' and transformation into Florence Nightingale us ladies have to go through when our poor darling has man flu. 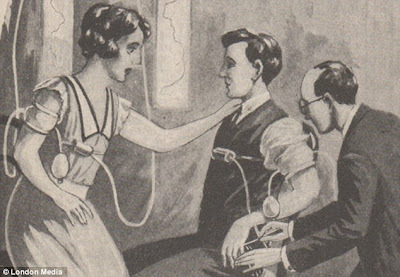 The final test is the physical attraction test and according to the magazine it is the most important factor in any marriage. Well who really wants to be stuck with a Sideshow Bob lookalike the rest of their lives? I'd have Rock Hudson over him any day. The test is done by measuring the couple's pulse and breathing rate when they embrace. If both heart rates increase when they hug or kiss, this is then 'scientific evidence' of attraction. Your man jumping on you even when Top Gear is on might be a sign as well. The magazine says that the tests are vital for establishing a happy relationship and for finding out if a couple should have children together. It says 'We take extreme care in breeding horses, dogs and cats, but when we come to ourselves we are extremely careless and do not use out heads nor the means that science puts in our hands for scientific breeding.' Um ok, these tests sound interesting, but charm, a sense of humour and kindness does it for me, I don't know abut you ladies. Obviously muscly arms and a six pack is a pretty big bonus too. Wow, I'm glad I'm married! A big thank you to Second Hand Rose, Would you go to these extremes for dating?! First of all I would like to thank Katie for letting me write a guest post on her blog, I hope you all enjoy it. 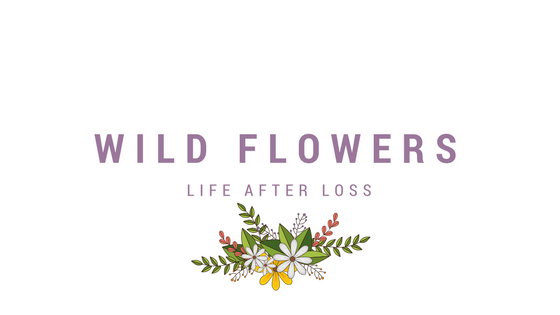 Fushi Wellbeing is a health and beauty brand which champions everything Katie is into; they are 100% vegetarian and cruelty free, so I thought they were the perfect brand to write about for Gold Dust. The lip balm itself is perfect now that the weather is starting to get colder and we are all starting to think about our winter lip care regime. The lip balm has a very pleasant, natural, floral smell which you don't always get with non-organic products (the preservatives in them ,ask the smell perhaps?). Also, I had a really blocked nose last week (nice) and applying this lip balm very generously to my lips actually helped clear my airways! 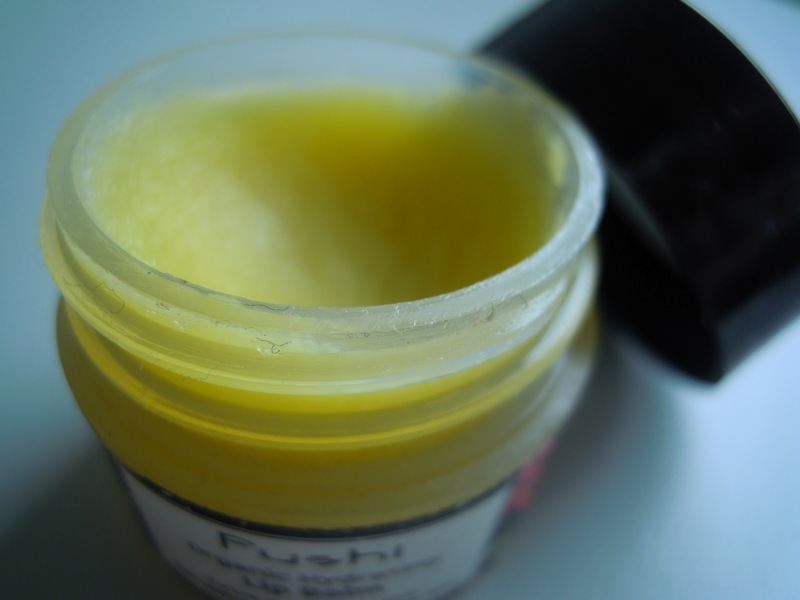 The lip balm contains beeswax which means once appplied, it doesn't leave a greasy layer over your lips (like vaseline does...); Therefore, it's perfect to use as a primer under your lipstick as it won't make your lipstick bleed. As you can tell from the pictures I have been using the lip balm a lot: several times a day in fact. 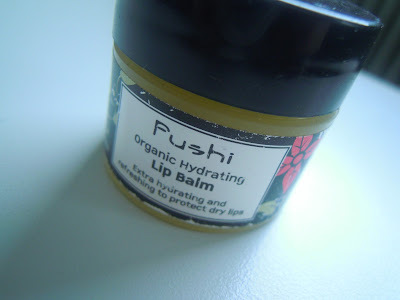 Have you tried it, or any of Fushi's other products? Thanks Alexandra, I really want to try this lip balm now, it looks AMAZING!! I spotted a competition running with New Look, as they have just released a new range of denim - to win £200 + a pair of jeans, so of course I wanted to get involved. So here is my entry.. I know some of you may be like 'what were you thinking?' but I'm loving it. I've taken two current trends, military and tartan, then mixed them up in a weird-but kind of cool clashing print ensemble. I adore the military look, it can be so casual, yet sophisticated depending on how it's worn. These boots are AMAZING , and in my opinion would go with anything. I'm loving the jumper over shirt combo at the moment too, in face I'm currently wearing one. So I'm thinking jumper could go over the shirt or be worn alone, so really you have two outfits! I thought the jewellery was very fitting to the military trend too! Okay, now don't get me started on my love of tartan, I swear I must have been Scottish in a past life. I don't know why I love it so much, but I do. I think it reminds me of Christmas/winter time, maybe cos I have a tartan scarf! But how gorgeous is this backpack?! I need it in my life ASAP! Hope you like my entry, and good luck if you're thinking of entering - here is the link! I haven't blogged for two days, I feel as if I've lost a limb. Anyway I'm back. For those that read my dance post, I had a fab time - we did Contemporary and Hip-hop (yeah I'm not great at being 'street'). But it was really fun, and great to get back into dance! As you can see I picked a lovely, chunky bracelet. I adore the plaited threads, it makes this really contemporary and bang on trend. The chain is really chunky, and quite heavy, which suggested it was good quality and well made. It's a really bright and bold piece, a good bit of statement jewellery. It would look fab with a really girly dress, to add a little masculinity. I've seen a few bracelet like this dotted about for a very high price tag, but Celliana has affordable high fashion jewellery. Unfortunately I've not been able to access their website, to see the actual price of this piece, but I'll give you the link anyway! The customer service I received, was excellent. Sarah responded very quickly and was really friendly and helpful. It is always encouraging when a company knows how to give good customer service! I also got a nice hand written note with my jewellery - I love a personal touch! I'm currently sat in the library at uni, where I have been for the majority of the day. Who knew you could get so much work/reading that needed starting in the second week of term? Don't get me wrong I love my course, and I'm really enjoying reading up on lecture notes, just I get here so early in the mornings it makes the day very long. 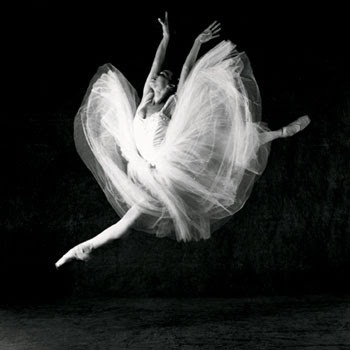 Tuesday's are especially long, as I have decided to join dance classes. I am super excied about this but dance doesn't start until 6pm so I've got a little waiting around to do. Usually it's not too bad cos I don't finish til 4, but today was an exception and we finished at 1pm. It's not worth me going home to come back, so I booked a gym induction, which lasted about 10 mins!! So i'm counting down the minutes until I can go dance. I haven't danced in so long (not including Zumba), and I'm pretty nervous about how rubbish I'll have become over my dancing break. But I'm sure there will be people far worse off than me. We had a little meet up last week in prep for classes to start, hopefully I will make some friends outside my course. Sometimes it's nice to get to know other people too, with other interests. That's enough of me rambling, sorry for a pretty boring post - I had photos on my camera - then left it at home, oops. Does anyone go to any clubs/teams at uni? So I've survived another week without spending. This week has gone so fast, I wouldn't have had time to buy anything, even if I was allowed! As promised, I am continuing with my weekly wishlists, focusing on a particular brand. And this week it's Ted's turn. I have so much love Ted Baker, I could literally spend hours looking at the clothes and decided what I would buy - had I won the lottery. Okay, it's not that expensive, but still I am a poor, poor student. I am desperate for one of these plastic tote bags, I oogle over them every time a new design comes out. My latest favourite is the dog (obviously) but the only down side is, it has a glitter bow that sticks out - which I'm not loving so much. Never the less I still want it. And the yellow shorts - I tried these on when I went for a personal shop, they are beautiful and unbelievably flattering. It's pretty hard to see the detail on some of these clothes, the blue shirt is again, dogs and the white shirt in the bottom corner is little gold studs - perfection. I love the patterns and detailing on Ted Baker clothing. I also love that it translates from coats, to trousers, to bags - so you could literally match your entire wardrobe. Lastly, can we focus on this dress (the one next to the bag). I saw this in the Trafford Centre last week, I'm convinced if I wasn't already married, this would have been my wedding dress. It is the most beautiful, lacy, puff bally dress ever. But it is extremely heavy! I think it has about 20 underskirts. I NEED. I've been so excited to write this post this morning, but I had to get the 'boring' things like uni work out of the way with first! I'm so proud of my self, I've just submitted my first piece of formative work, it was mainly just a test to see if you knew how to use the submitting software, but still I'm pretty excited. Anyway, about a month or so ago, I was desperate for a penal. I asked on here and got a lovely email-pal, but I wanted to be greedy and have an actual pen and paper pal. After looking on Tumblr, I found a few people were looking for someone to write to, which was fab cos that is exactly what I wanted. I contacted a few and now I have pen pals from all over the world. I currently have two in USA,one in Singapore and one in Wales. I get so excited when I receive a letter, it's ridiculous. I'm in desperate need of a notice board to pin up all my lovely letters and gorgeous envelopes. I have such thoughtful pen pals, it makes me sad to think we are in such a computerised world that my children probably will only know how to write an email. Seriously, if you are sick of sitting at a computer all day, or only communicating via text, just try and put pen to paper and write a letter, it is so worth it for the reply. How pretty are the stamps and envelopes? One of my pen pals sent me the gorgeous vintage postcard, with seals on, and the cutest bunny sticker as she knows my love for rabbits! And I also received the lovely necklace from Singapore! I'm spoilt! Do you have pen pals? I discovered Lissele Jewellery a few weeks ago. 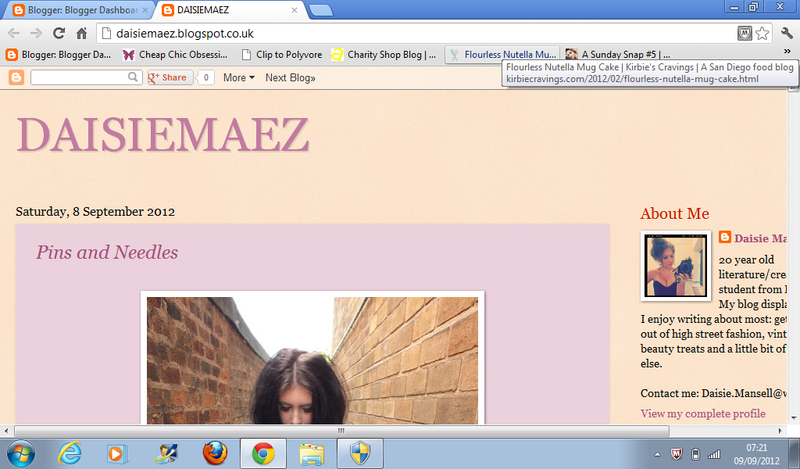 Basically it's a jewellery website with really cute pieces, for a cheap price. There is literally hundreds of earrings for just £1! When exploring the website I found that the website was giving away 200 pairs of £1 earrings and all you had to do was send your wishlist off to them. I of course, jumped at the chance, and I was lucky enough to receive this lovely pair! How cute, and appropriate for my love of bunnies? And as you can see here, I have a 10% discount code for the website. The majority of bling is under £5, so it's well worth a visit! I can;t really take credit for this post, I spotted this (kinda) nail design on someone else's blog, that I can't for the life of me find! So if it was you, let me know and I of course, will give you credit, where credit is due! Anyway, I found this nail design, somewhere, only the blogger developed on this and added more lines but I thought it looked quite fab like this - plus it was quicker. Here it is. I used all Barry M products to create this look. Make sure you always use your base coat - then paint a layer of black. I then got the gold and made lines - one at 3/4, one at 1/2 and one at 1/4 on the nail. And voila. Obviously as I said, the blogger originally used this as a base to form more layers, alternating between black and gold, but I like this before adding more. And of course finish with a top coat! Week two is over on my 100 Day Challenge. I must say this week has gone pretty fast, but I have had a few mishaps! You might have seen on twitter, I was a little naughty and bought a 3rd magazine, but in my defence the train was 40 mins late so I was bored out of my mind. I think for the next, however many Mondays I have left, I will be focusing on a particular shop or brand I'm lusting after. I seem to have started this unintentionally the last two weeks, so I might as well continue. I've found window shopping, surprisingly helps when you have a spending ban. I have about 900 things on my Christmas list already, and I'm sure I will see many, many more goodie I want. This week, I'm loving River Island. There are so many gorgeous things in store and online at the minute. I've seen a few things in magazines that I desperately want, but haven't managed to see them in 'real' life yet. I am so in love with this denim shirt, it's already made it's way to my scrapbook. And I saw the pink jacket in store, I wouldn't have thought twice about it, if I hadn't seen it, the website does not do this justice. The same with the dog perplum top, it has a gorgeous peter pan collar that you can't really make out here! Finally, how amazing are these flatform boots? The have the exact same pair in Office for about £20 more, I thought £40 for a pair of boots was pretty reasonable, plus they look super comfy! Hoping this week will be a bit easier, I have zilch money so as it's not there, I obviously can't think about spending it! Myself and the hubby, have made Saturday's 'our' day so we are aiming to spend as many Saturday's together as we don't get to see much of each other during the week. So yesterday, we went to the MOSI in Manchester, which was surprisingly good (and free! ), then went for a window shop. 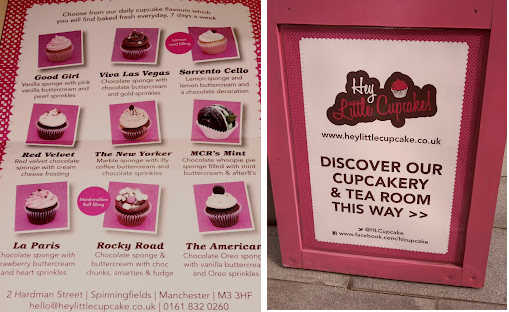 The reason i'm telling you this, is because we found the cutest cupcake shop, that I already follow on Twitter and was desperate to go and try! Hey, Little Cupcake! 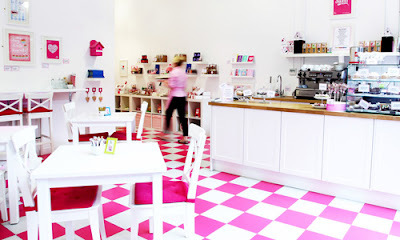 is in Spinningfeilds (next to Nandos) and it's the cutest, quaint cupcakery ever. Unfortunately I didn't get any photos from inside, cos I didn't want to look weird taking pics! But I did manage to pinch one of the interior of their website. The cupcakery does all sorts, from cup cake classes to afternoon tea, it also has a little shop for all your cupcake needs! I was really impressed, as was the hubby, and he is really hard to impress when it comes to food! My cupcake was of course, gluten free, this was the reason I wanted to try this place so much. It is almost impossible to find a decent GF cupcake that doesn't fall to pieces but this was just divine! The hubby had the Rocky road cupcake with Marshmallow Fluff inside, how amazing! Overall, I was really impressed, and will certainly be visiting again, yum. I survived my first week at uni. I hate the first week, cos you aren't in a proper routine or actually learning. The start of 'real' lectures, begins next week and trust me they aren't easing us in lightly. My first assignment is due in, in a months time. However, I am so excited to begin and get my brain working, as its had a rest this last year whilst I've been working. I made new friends too, which is fab. I've obviously made friends at uni before, but one was my now husband, so we spent pretty much every second together. Then my foundation degree was at a college 120 miles away, the people I knew have all moved on, as have I. It's nice to have a fresh start and meet people that have the same interests with you, and one thing I have noticed that UCLan encourage is reminding us we are not in competition with each other and encourage to support everyone. I've been a bit of a geek already, and printed off thousands of lecture notes and the module handbook, I've even got books out of the library. I am determined to work hard and put a million percent in, and cos out with the best grade I can. I'm so raring to go. I hope all those starting this week or next are as excited as I am. These next three years are going to be tough, exciting, very quick but mostly very rewarding. So here's to the Class of 2015, good luck and enjoy. It's pretty hard finding animal-friendly perfume on the high street, especially if you don't want the usual from The Body Shop or Lush. So the obvious place to look is on the internet. I was curious the other day, and came across a website called FMCosmetics. As far as I'm aware this company originated in Australia and is now worldwide. From what I can gather, is the company has the same set-up ish as Avon, so therefore it has sellers working on its behalf and is available online. When I discovered they made animal friendly perfume, I jumped at the chance to try a few samples. I'm usually nervous about asking for samples but the website encouraged it, so I couldn't say no. I emailed over to my local distributor and she happily sent me out the scents I chose. This is a fab idea, cos no one wants to spend money on a perfume they don't like! I picked FM18 and 101. They both smell really lovely, 101 reminds me so much of Armani Code and 18 a little of White Musk. The scents are long lasting and very easy to wear, they don't have that sickly, over powering smell some perfumes have. One of the amazing things about this brand, is they aren't over priced, and very reasonable. Around £12 for 30ml! Only perfume plants are used that are cultivated and harvested with immense care and in accordance with strict ecological guidelines. With this controlled cultivation, free from pesticides, herbicides and fertilizers, the partners of Drom Fragrances were granted the “For Organically Produced Food” certificate, which is only issued for compliance with the especially stringent guidelines of the United States Department of Agriculture. Fragrances by Federico Mahora have not been tested on animals! Check out their website, and search your local distributer, then request some samples! I have been in no way asked to write this post, I just wanted to share the brand. Just a quick one, apologies I didn't get time to post yesterday. After the excitement of first day I was exhausted. I hope you will be all pleased to hear it went well, aside from being very long (practically straight lectures from 9 till 5). My course sounds VERY full on, so forgive me if I don't get to post everyday, although I will try my best! Thank you to everyone that wished me well on my first day, it is much appreciated. And a HUGE hello and thank you to my new followers, I love you all! I think I told you a while ago, I wanted to start a scrap book, and gave you a little up date a month or so ago. Well, it's going quite well. I haven't ventured too far from magazines yet but I have picked up a few postcards and leaflets I like the look of, so when I get chance they will be put in. I love having my own version of things that I love all in one place. Some pages look like I could have torn them out of Company and some look like pictures just threw up on them, but nevertheless I love it. Do you have a scrapbook? Today is my last day of 'freedom'. At 9am tomorrow I am officially a Fresher again. This is literally the weirdest feeling ever. I feel like I'm going back to school after the 6 weeks holidays, very excited, a little apprehensive but itching to get started. How cute is my stationary?! I love the dog folder. And of course my yellow paper, that always saves the day! Thankfully, I've been able to get in contact with a few people off my course, so already feel like I have some friends or at least people I know. I've prepared everything, got a pencil case (oh yeah) and I'm ready to rumble. There is one thing that is bothering me though, what do I wear?! I have a lot of clothes, the hubby like to remind me of this regularly. But what is appropriate to wear on your first day? I want to make a good impression, as they say first impressions are the most important. I don't want to rock up in jeans and a tee, cos I just think that is a little too laid back,but at the same time I'm not going to turn up in a trouser suit. This afternoon is going to time for my to do a little fashion show (to myself) and find something I feel comfortable in. I'm praying this rain stops, else I'm going in wellies and that just isn't a good look. My first week of the 100 day challenge is over, I imagine that was the worst week, at least I hope! I don't think I did too badly though, I haven't bought anything (with my own money) and managed to stick to most of the rules. I did cheat a little yesterday, I went to Alton Towers (free tickets) and bought my dinner cos my packed lunch just wasn't enough, but the thought was there! I was just looking around for things to add to my weekly wishlist, when I came across People Tree. I initially discovered it on ASOS then googled some of the items that I like, and voila I found the most amazing things! I don't think you can see the prints on these dresses very well, but the navy one is hedgehogs and the cream is owls. I love the cute animal print, yes I think I have an obsession. I absolutely LOVE that daschund scarf! I think everyone knows my crazyness when it comes to sausage dogs, or any dogs really, this is literally the cutest thing I've ever seen! I must get that scarf before my Christmas trip to Berlin! I'm going to keep hinting at the hubby..
7 days down, 93 to go. I was in no way asked to do this post, I just loved the website! - Dasie has the most amazing ring collection. - Sarah also does some amazing OOTD posts! 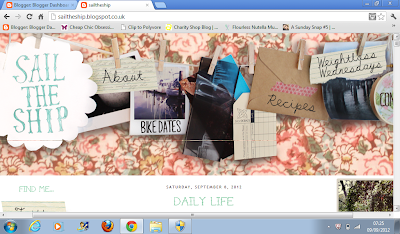 - Jen allows other bloggers to share their experiences in life, really interesting stuff! 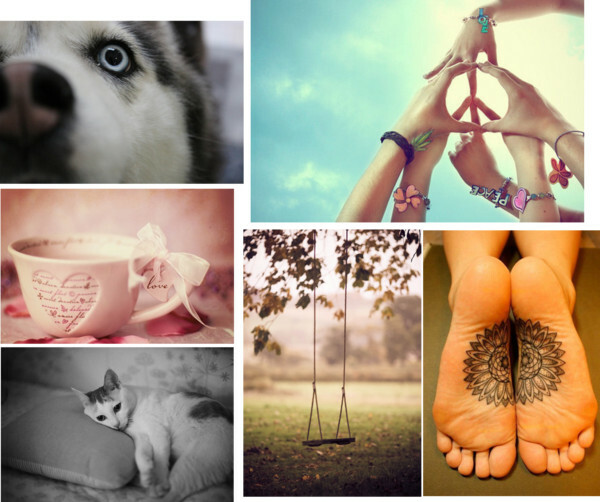 Please check out my guest post over at Tattooed Tealady! I haven't done an outfit of the day post for so long! I think my clothes are boring! I adore this dress, and have had it for so long and haven't worn it. cos I thought the cut didn't suit me as a dress. But as a top it's really lovely. This is what I wore to go to Southport today, the sun was shining so my new leather jacket didn't get much of a look out. For those wondering, I haven't cheated and bought a new coat, Mama hen was down yesterday and treat me with my pocket money (yes, I'm 22 and still get pocket money). She also got me these, which I am overly excited about..
For all you veggie's out there, meet Veggie Percy!! I tweeted M&S the other day moaning about the lack of suitable sweets and voila they told me about these, they taste EXACTLY like the real thing too!